In my last post, I took a stance against inbox zero. The truth is, I want into the club, but I will never make it. I just don’t have the time or energy to make email such a big focus in my day. But that doesn’t mean I’m destined to a life of email abuse. In fact, there are a number of other ways to manage email. Here are some options that just may work for you. If you have an inbox with a few hundred messages and a close relationship with your search functionality, then you are probably already a member of the wild and crazy email camp. This group ditches the focus on reading, responding and removing email and moves to an “as-needed” basis. You may scan and act on incoming messages quickly, but you tend to let your inbox go wild, and use the search to find what you need. For some, an email inbox doubles as a to-do list. Followers of this philosophy use their email to track and prioritize their daily activities. You can do this by having a method for acting on all incoming messages immediately, and using flags and filters to sort and organize your lists. Completing tasks is as simple as archiving the message and moving onto the next one. If you use your email inbox as a place of limbo where information has to wait until it is dealt with appropriately, you fit right into the extract and reorganize group. People in this group typically have some sort of separate project/task management system where action items received via email are dropped in and added to a rolling list. This group, when they have converted each email into a standalone item in their task management system, tends to have the ability to get close to inbox zero, even if they don’t stay there for very long. If you hate email, the anti-email management system might be a good fit for you. Anti-email club members read and review incoming email as necessary, but rarely use it as a method of return communication. These email-haters take the information they need from email and move the line of communication to a format that suits them better, such as telephone or IM. I wish there was a simple one-size-fits-all solution to email drain, but there isn’t. 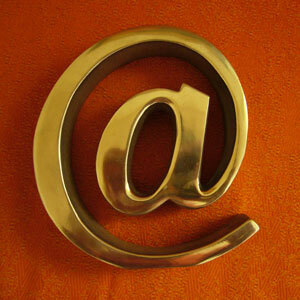 In fact, figuring out how to manage your email effectively can be a pretty personal process. Take me, for example. I subconsciously (or not so subconsciously) desire inbox zero, but accept that it’s not realistic for me, so I have my own system which is a combination of an email-based to-do list and an extracted and reorganized processâ€¦and it works for me. The bottom line is that there are solutions to managing email. You just have to find the one that works for you at a given time, with your current time constraints, needs and goals. How do you manage your email? Do you have a strategy that can change the way we look at email management?